Gradam Ceoil Award "Traditional Musician of the Year 2018"
There can be no doubt that 2018 was a momentous year for Frankie Gavin. Winning Traditional Musician of the Year 2018 at the Gradam Ceoil Awards was the icing on the cake. 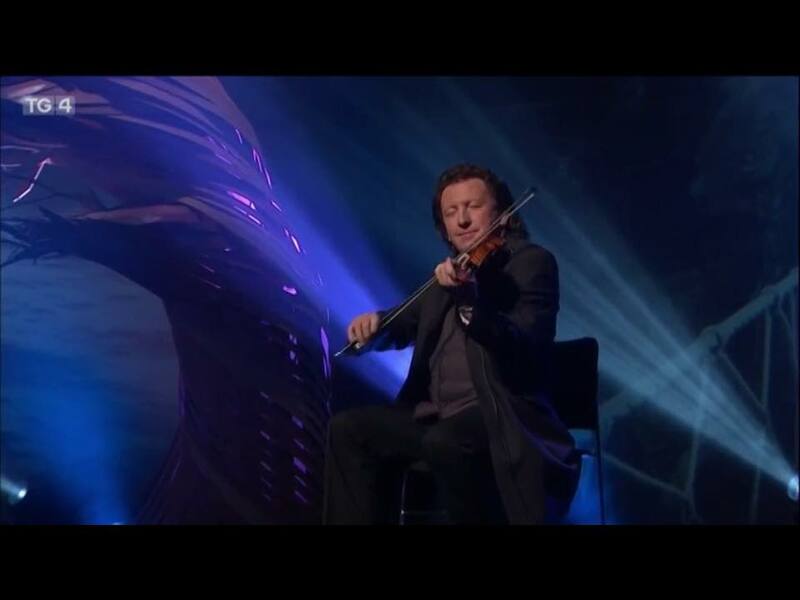 The video below is a brief TG4 overview of the evening which includesd messages from Ronnie Wood, Prince Albert of Monaco, the presentation of the award and speech from President Michael D. Higgins and, of course extracts from Frankie’s solo performance and The Provenance. “I’m thrilled to be getting this wonderful award for 2018. It’s a real boost at anytime in anyone’s life, and I’m so so pleased, and to be celebrating the event in Belfast for the first time for the Gradam Awards also makes it sweeter. It was a year in which Frankie also realised a life-long ambition of putting together a band to play the music of the Flanagan Brothers, the exuberant dance and concert band which took New York by storm in the early part of the twentieth century. 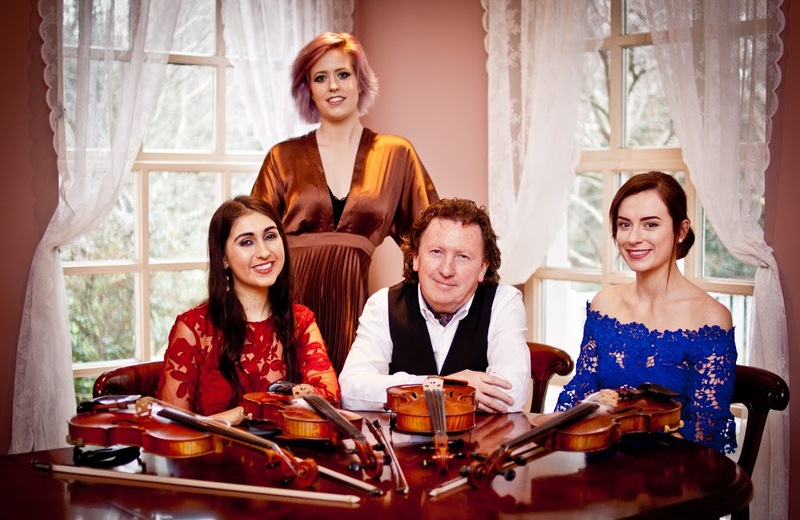 His brand new Roaring 20s Irish Orchestra made their first public appearance on Gala Night at Tradfest, Dublin in January 2018 and have since appeared on several occasions including the All-Ireland Fleadh from Drogheda. 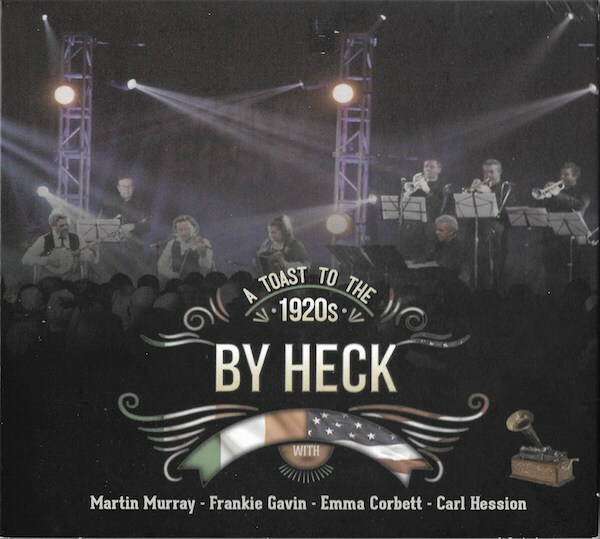 They also launched their CD By Heck at a civic reception in Waterford Town Hall. The line up is Martin Murray on banjo, Frankie Gavin on fiddle, Emma Corbett on melodeon and Carl Hession on piano. Their “backing band” comprises a double bass, a clarinet and a four-piece brass section. Frankie also joined forces with Paddy Keenan and Dermot Byrne to form KGB. 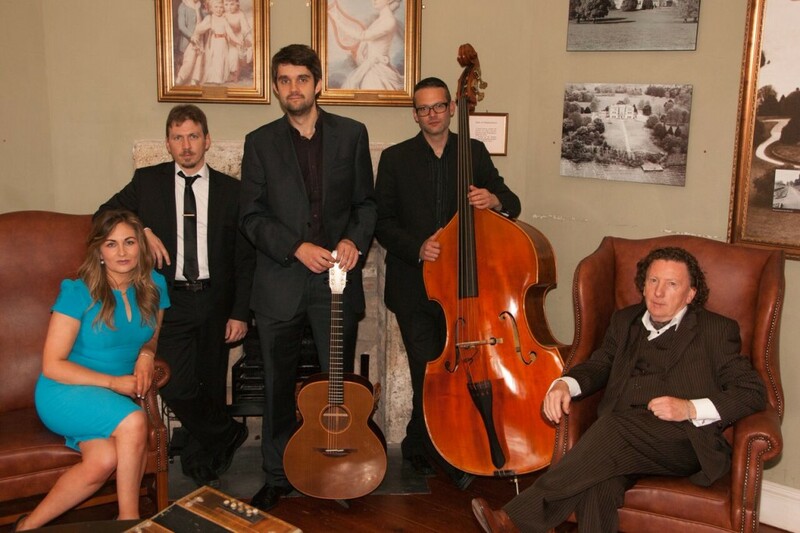 They played at Celtic Connections in Jan 2018 and played many times during 2018. Left to right in the photo: Paddy Keenan, Frankie Gavin and Dermot Byrne. But that’s not all! For people who remember the iconic De Dananns of the past, the welcome reconciliation between the two co-founders of the band, Frankie Gavin and Alec Finn enabled organisers to book one of the old line-ups. This was brought about initially by Aidan Coffey for his Corner House Set recording. Below is the line-up that played on The Late Late Show (Feb 2) and at the Gradam Awards (Feb 4). Left to right: Alec Finn, Frankie Gavin, Martin O’Connor and Colm Murphy. Yet another of these great line-ups, which included De Danann’s first regular singer Dolores Keane, performed to adoring fans on July 7th at Traidphicnic, Spiddal. The rest of that band was Frankie Gavin, Alec Finn, Aidan Coffey and Colm Murphy. 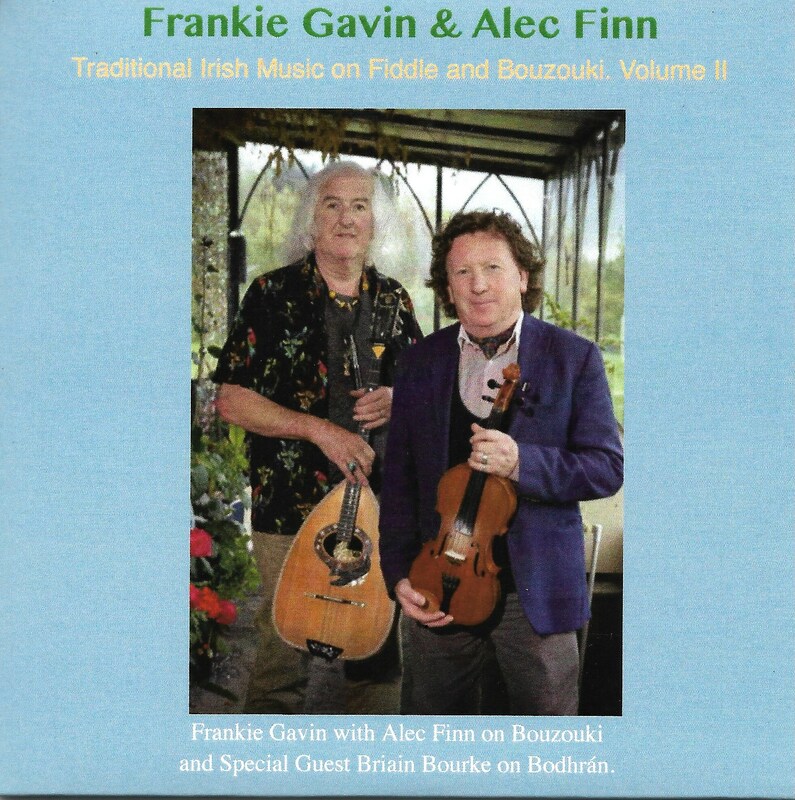 Frankie and Alec Finn also made a new duo recording, Traditional Irish Music for Fiddle and Banjo II, to mark the 40th anniversary of their first duo recording. The CD has proved incredibly popular, but tragically, Alec Finn died in mid-November, ending a musical friendship which lasted over 50 years. 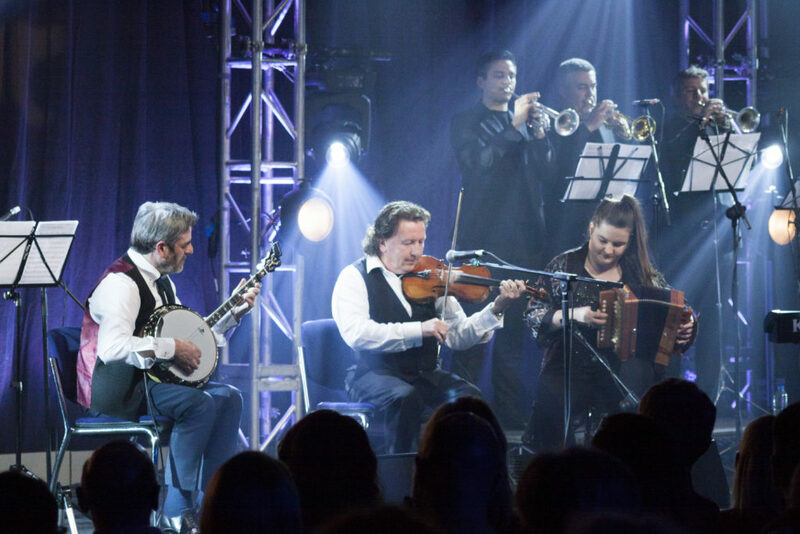 And… in addition to many solo appearances, Frankie teemed up with Noel Hill and Brian McGrath, for a number of performances, notably TradFest Birmingham in November 2017 where the photo below was taken. Left to right: Noel Hill, Frankie Gavin, and Brian McGrath. Frankie Gavin and De Dannan, the line-up which was in action until recently is unlikely to perform again, but they did sterling work for much of the last decade. Left to right Bernardine Casserly, Barry Brady, Colm O’Caoimh, Dan Bodwell and Frankie Gavin.